Gavin Wood (Gav Would) & Vlad Zamfir are major figures in the Ethereum community, and in the broader crypto world. At present, a fascinating blockchain governance debate is unfolding between them — one with profound implications for the broader crypto enterprise, the future of the Internet, and social order more generally. Rather than summarize this debate, our goal here is to continue the conversation. The narrow purpose of this review is to explore some of the biggest purported areas of disagreement between Wood & Zamfir. After mapping main points of divergence, we analyze potential commonalities in the way that Wood & Zamfir approach governance. Given their prolific output and active presentation calendars, there are many possible entry points to these debates. Along with Wood & Zamfir, the Web3 Summit governance panel featured Arthur Breitman of Tezos. Recorded immediately after the governance panel, the ZeroKnowledge podcast explores points of divergence between Wood & Zamfir and frames the terms of the debate. This article focuses on the Wood-Zamfir debate. In addition to the primary sources above and dispatches from the Web3 Summit, there is a growing body of secondary literature on blockchain governance and crypto legal theory, which we recommend for context. Primary sources are good; primary + secondary sources are better. This is a rough attempt at synthesis. There is a chance that Wood & Zamfir will repudiate some or all of these characterizations. But this is a risk any time anyone attempts to reduce nuanced arguments to memes like maximalist-ish or ambivalent on-&-off-chain governance. Despite risks of oversimplification, contrastive exercises like the one above are valuable because they also expose commonalities across and within supposedly divergent approaches to blockchain governance. The search for commonality can also make individual arguments much stronger. For instance, something like common core analysis can help identify functional equivalence within particular lines of argument despite terminological mismatch or supposed prima facie incomparability (e.g., Wood’s invocation of 6th century church schisms, State-centric-governance, and corporate governance as a potential reflection of preference for precedent-based modeling; Zamfir’s recurring motif of “bad outcomes for innocent bystanders” as a potential reflection of preference for whole-system/open-loop modeling; etc.). Please note, the reflections above are meant to serve as heuristics, not as descriptive or summative analysis. But even as heuristics, they provide a more objective prism through which to view the ongoing debate and the debaters (including their values and socio-economic interests). This is critical in the heat of debate, when focus turns to sensitive issues like personal ethics or algorithmic value judgments. These themes are somewhat abstract. But so are the complex sets of values that govern our approaches to governance. The only way to identify real convergence is to attempt values-based assessment. This is really hard; it is tantamount to decrypting and mapping compatibility vectors between inherently pluralistic encrypted data systems. Values-based analysis is difficult; but it is necessary. 4. Wood & Zamfir: Value Signaling? It is only natural that Wood & Zamfir have different value systems, owing to different backgrounds, social constraints, and ambitions. It would be weird if their value systems were fully aligned. In their debate, Wood & Zamfir send out many values-based smoke signals, but the intended normative message is not altogether clear. They talk about similar processes and governance aims, but the fact that we have to wonder about this aloud suggests the need for more clarity. As Zamfir made clear in BG101, governance analysis is stronger when analysts are open about their value preferences. Zamfir acknowledged the difficulty of doing this in BG103 and explored this theme in even greater detail in How to Participate in Blockchain Governance in Good Faith (and with Good Manners). Over the years, both Wood and Zamfir have been outspoken on governance issues. They have both done a lot of value signaling. The Ethereum Yellowpaper, the Polkadot Paper, both authored by Wood — are governance tracts as much as they are technical design documents. Zamfir’s published work on governance is legion. As with the Yellowpaper & Polkadot Paper, Zamfir’s ongoing research on Casper/proof-of-stake can be read as governance documentation, in a very literal sense. What could be more formal governance-y than defining novel stakeholder regimes and sanctions for stakeholder collusion and cartel-formation? Amidst governance signal noise and information overload, we must be extra careful when generalizing value preferences from technical documentation or de-contextualized signals like Tweets. 5. Wood v. Zamfir: Undefined Values? In this debate setting, it is hard to place Wood and Zamfir’s arguments onto existing conceptual and axiological maps. This is precisely why we undertook this mapping exercise and are devoting so much time to fleshing out the arguments. The Wood-Zamfir debates give us many programmatic ideas about blockchain governance. But the tactics, strategies, and normative aims of blockchain governance vis-a-vis existing governance regimes are not clear. The answers are not clear because the values that steer these decisions are often complex, conflicting, and very often, hidden. 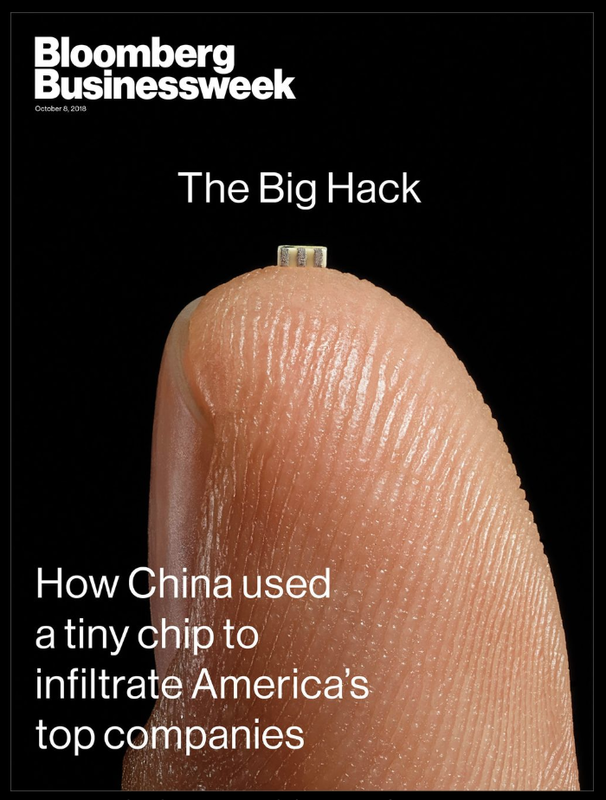 If governance is software, values are our BIOS — programmed deep onto our mental motherboards so as to operate subconsciously as background logics. Values are also remarkably fluid. Even the most diehard objectivists who claim fidelity to a fixed set of values eventually concede that some values are inherently indeterminate and some values are highly contingent in exigent circumstances. Clarifying our positions on existing governance structures (e.g., reverse-engineering our off-chain socio-legal BIOS-es) is a co-requisite to effective blockchain governance design. This is not a philosophical exercise; it is an existential one. As competing blockchain governance “software” programs get more defined, it is still not clear whether new governance software is stable on legacy socio-legal “firmware” (e.g., interoperability between blockchain governance processes and, say, existing legal processes). Without clear answers on how any blockchain governance scheme will actually work within and alongside existing legal strictures, analysis quickly turns normative. In this setting it is extremely tempting to choose sides based on which argument “feels” closer to our set of values. It is easy to lean towards models that seem to do what we think should be done. Another source of uncertainty is that much of the values signaling in the blockchain space often happens implicitly. (Values signaling ~ politicking ~ expressing one’s ethical/normative preferences). This means we do not know yet what many leading governance figures are actually politicking for, or against. We still lack a comprehensive blockchain governance theory: where blockchain governance is today, where it is going tomorrow, and why we will or should go down a particular path. With this much uncertainty, it is premature to choose winning or losing arguments. As blockchain governance debates heat up, we respectfully urge everyone in this space to make their value preferences even more explicit. This coincides with one of the biggest analytical need areas today: blockchain governance theories that expressly tie into existing off-chain governance practices and processes — most notably, law. 6. Wood & Zamfir: Team Players? Next, governance is a team sport, by definition. In crypto, nobody really cares about any one view on governance unless that view has a chance to become a consensus view, or a credible threat to the consensus view (two sides of the same token). Individual views are valuable; but one’s standing in a community is often more dispositive. Although they use oppositional rhetoric (“I completely disagree with you …”), Wood & Zamfir appear to be on the same team. We should not assume that they are. But on the need to have working governance processes, their incentives seem to be aligned. 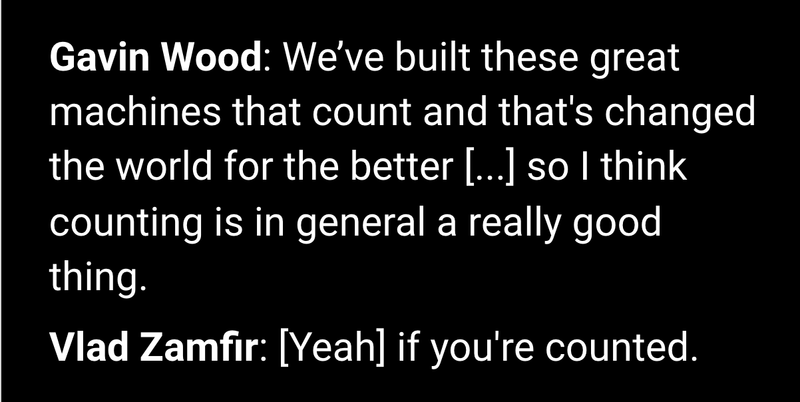 Wood & Zamfir both want Ethereum to succeed, for instance. They both want crypto to keep scaling globally. They have walked through the fire of hard fork politics together. Therefore, both seem incentivized to steer governance debates in the “right” direction because both understand the high costs of corrective action later. 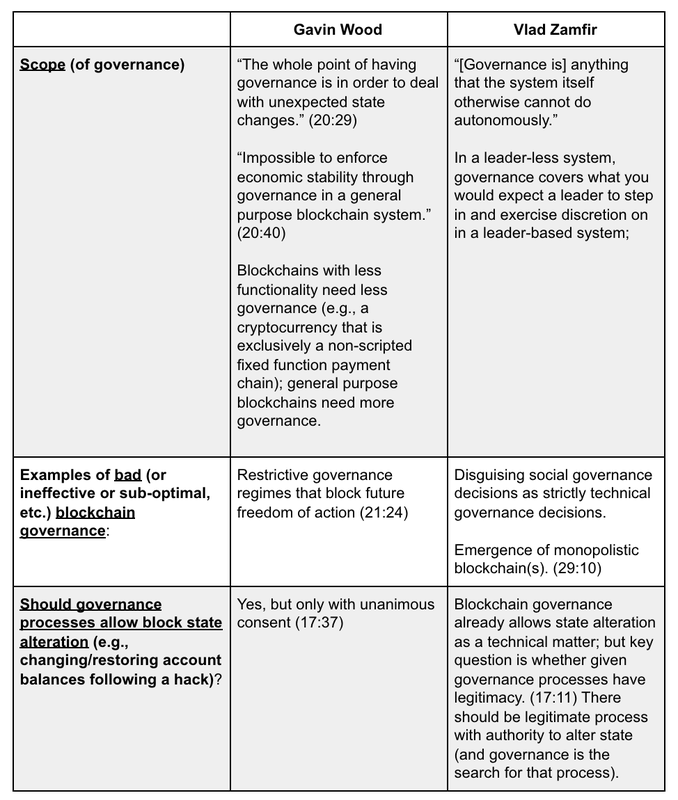 What is the right direction is open to debate (see Table 1), but in order to steer the blockchain ship in that direction, governance theorists need to build coalitions. They cannot go it alone. (Crucial note: governance theorists = governors; governance theorists ≠ governors). Therefore, while they deploy different tactics in pursuit of different strategies, Wood & Zamfir seem interest-aligned not only with one another, but also with you. This is one of the biggest commonalities in ongoing governance debates. Blockchain theorists are not talking about abstract disembodied governance rights and processes; they are debating your right to be a full-fledged participant in a shared blockchain future. They need you to buy into their governance vision in order to maximize the probability their governance vision becomes a governance reality. Your values matter and your views on blockchain governance matter a lot. But they matter only if you make them matter. 7. Why Care About Blockchain Governance? There are three principal reasons for re-centering the debate around why Wood & Zamfir [and other governance theorists & projects] need you, as opposed to just what Wood thinks about X, or what Zamfir thinks about Z. First, this captures everyone’s actual postures much more accurately. Second, it levels the discursive playing field. Third, it nudges everyone in the blockchain governance space to be even more direct about their motivations and answers to basic questions. Why should we care about “who governs whom” using any sort of technology — whether biometrics or blockchains? The tables above capture some of the reasons offered by Wood & Zamfir for why different stakeholders should strive for good governance outcomes (however we define good governance). Now, we can go deeper. Per Wood, we should strive for good governance because good governance = certainty. And, certainty ≈ morality. The outcome of a consensus building process is an agent-like network that acquires moral authority from each of the participants who agrees to the consensus protocol. The blockchain then governs through what becomes, in essence, a “smart social compact,” with the express consent of the governed. The network is optimized for good outcomes for everyone on the network. 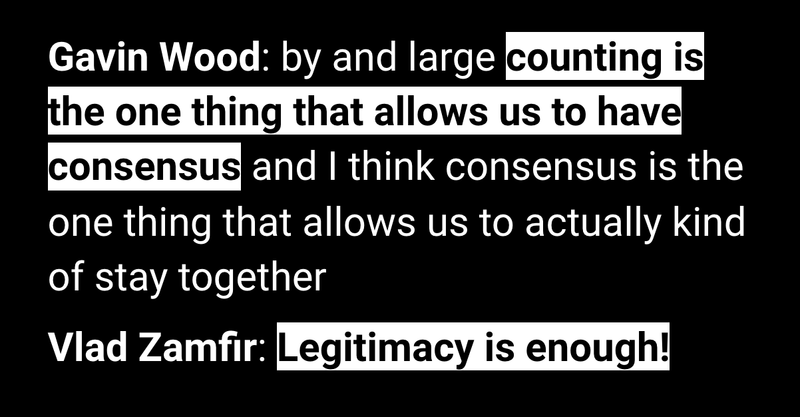 Per Zamfir, we should strive for good governance because that is the main way to acquire, maintain, and grow legitimacy (good governance = legitimacy). And legitimate processes mitigate the risk of bad outcomes for stakeholders in on-chain and off-chain settings. You should care about blockchain governance because it helps determine the right thing to do (Wood) and because it is the prudentially smart thing to do (Zamfir). 8. Who Should Govern Whom? This is the stakeholder question. Essentially, it asks who should be involved in blockchain governance processes. The basic idea is that different stakeholders have different governance needs. Fair use text overlay: CleanApp. Underlying photo by José Jiménez-Tirado. The photo is from a New York Times article by Nellie Bowles, Making a Crypto Utopia in Puerto Rico. From a developer’s perspective, good governance may be about “how best to solicit community feedback on technical proposals in sensitive ideation stages.” And so on. A good governance model must be flexible to accommodate competing stakeholders, interests, and needs, but also sufficiently rigid to prevent governance gridlock. Defining who can govern is a crucial first step. 8A. Want to govern? Get a stake! Wood’s position is that blockchain stakeholders are those who have a direct stake in the blockchain system at issue. The basic position is that stakeholders are only those who are formally defined by a given governance process. The people who should be allowed to participate in blockchain governance are those who are expressly allowed to participate. Wood’s argument rests on a solid doctrinal foundation. The idea that participatory and governance rights should be formally defined and enforced is the dominant governance paradigm globally. It is the default stakeholder regime in public governance models (citizens’ participatory rights & processes in nation-state and local governance settings) and private governance settings (such as corporate governance). Wood’s example of this is Facebook. 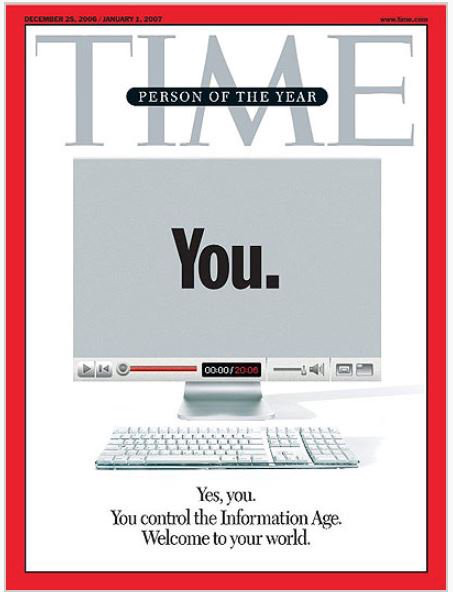 Specifically, should users of the social network have governance rights vis-a-vis Facebook? According to Wood, the answer is absolutely no. If users are dissatisfied with Facebook’s privacy protections or the layout of the news feed, they can: (1) buy some Facebook stock, and voice their concerns through formal shareholder activism routes; (2) vote with their feet by leaving Facebook for better social networking elsewhere. 8B. She has a stake; he has a stake … everyone has a stake! These stakeholders might include block explorers and other low level service providers, exchanges, speculators, application developers, users, journalists and passive observers, just to name just a few. In the debate with Wood, Zamfir pushes this stakeholder definition to include yet-unborn generations and even institutions like the U.S. Government because the USG is affected by blockchain governance decisions made by, say, Bitcoiners. In Zamfir’s view, if you’re affected by current or future blockchain processes, you are a stakeholder — even if you never saw yourself as one. This idea seems amorphous until you consider globally-scaled resource management blockchains or fair trade blockchains that formalize, say, existing legal protections for endangered species or anti-slavery best practices. Then broad stakeholder maps make a lot more sense normatively, notwithstanding enormous technical challenges. Wood’s answer to the who should govern whom? question seems too rigidly formal and, therefore, too limiting. A governance regime that defines all possible stakeholders ex ante is likely underinclusive: it disenfranchises users and third parties who are directly impacted by blockchain processes by depriving them of meaningful opportunities to petition for change. Zamfir’s answer to the who should govern whom? question seems too informal, and, therefore, is likely overinclusive. To people who default to formal rights and/or single-iteration game theory, Zamfir’s position is unworkable because it is overbroad, a la “When everyone is a stakeholder, then nobody is a stakeholder.” The position appears impossible to formalize and to code. It’s too fuzzy. Fortunately, many existing governance systems effectively reconcile Wood & Zamfir’s concerns and aims. All of these represent extremely formal and rather efficient governance mechanisms that give affected stakeholders a chance to influence governance outcomes that affect them (in varying degrees of abstraction). In addition to familiar defaults like constitutional governance v. corporate governance, governance theorists should explore many other mainstream formal stakeholder regimes with strong minority and “inchoate interests” protections. Ultimately, Zamfir’s position on stakeholder rights seems to emphasize the need to provide opportunities for meaningful engagement in political processes by potentially-affected stakeholders (or their self-proclaimed advocates or delegates — in the case of children, the environment, and other voiceless subjects of governance). Participatory governance schemes are difficult to code. Zamfir concedes that this is potentially impossible to code. But it is also difficult to get to trial on an incidental third-party beneficiary contract theory of obligation. The main thing is not whether we can ever fully map all possible stakeholders (hint: we can’t, because even hyper-inclusive regimes will always have exclusionary effects; some parties will always remain disgruntled and/or disenfranchised). Returning to the court analogy, governance rights are about the opportunity to plead one’s case. That’s all. Claiming governance rights ≠ winning one’s case. A core design objective of blockchain governance should be to give all aspiring stakeholders the opportunity to signal why they have stakeholder rights, even if the outcome in a particular matter is the denial of hoped-for participatory governance rights. Wood & Zamfir’s positions on stakeholders seem irreconcilable. But deeper analysis of their illustrations shows striking potential commonalities. Wood begins his thesis on formal stakeholder rights (and defined formal governance processes, more generally) by invoking the modern state as a homology to today’s blockchains.¹ A state has defined rules concerning citizenship, and citizens have clearly defined participatory/governance rights. The citizens of a state presumably determine the destiny of a given state, just as blockchain stakeholders determine the fate of a given blockchain. Wood & Zamfir draw countless parallels to state governance structures over the course of their debate. For Wood, well-governed states are those that have clearly defined rules, lawgics, and formal governance processes. Both Wood & Zamfir acknowledge that states with poor governance will eventually “schism” (Gav’s preferred term) or suffer a crisis of “legitimacy” (Vlad’s preferred term). Whatever term one uses to describe the effect, the bottom line is that a state with poor governance will eventually fail. As a general matter, Wood & Zamfir’s treatment of the homology between blockchains and states is well taken.¹ We observe similar parallels between blockchains and states as legal entities (international law & CryptoLaw as functionally equivalent governance processes). But when we pierce the statist veil to explore the mechanisms of governance in supposedly “good-governed” states (“liberal democracies” that are typically held out as archetypes of well-designed socio-economic & socio-legal order— such as the U.K., the U.S., Germany, or Switzerland, etc.) the homology breaks down. First, and most immediately, exiting states and blockchains is fraught with risk, if not altogether impossible. In the overwhelming majority of the world’s jurisdictions, a person cannot just revoke one’s citizenship in effort to legally exit a state. International law abhors statelessness. Migration is severely restricted. Second, we observe similar patterns with global social networks. In theory, users can always leave a network if they become dissatisfied with the service. In practice, leaving established global networks, like Facebook or Twitter, is extremely difficult because of network effects (one of Zamfir’s points in the Web3 Summit). Blockchains are likely to go through a process of market agglomeration similar to that observed in BigTech. In Zamfir’s view, this potentially means a future where blockchain networks are controlled by a small number of actors. Irrespective of the number of potential governors — 8, 80, or 800 — the result is a future global blockchain oligarchy mirroring today’s Silicon Valley. Leaving such networks may be impracticable; challenging such a network might be prohibitively costly. Third, comparisons to voting-based democratic orders may preference particular types of voting mechanisms or participatory rights, where at present, there is still no consensus within the blockchain community regarding whether democratic governance is even preferred, let alone optimal. The key takeaway here is that comparing blockchain governance to public governance regimes may be useful in certain contexts. But we should be careful about wholesale adoption of statist forms — especially legal forms like constitutions, courts, and so on — when designing general-purpose blockchain governance processes that require varying amounts of consensus-based flexibility. Flexibility is especially important in today’s crucial breakout and global scaling phases. The next point is tricky because neither Wood nor Zamfir name the states or corporations that they have in mind as illustrations of well-governed orders. At several points, both do mention states like the United Kingdom or Somalia. At those points of the debate, however, the states are not offered as models of good governance, but rather as illustrations of bad outcomes when governance fails at particular junctures. Because of the inherently politicized and methodologically fraught nature of global governance metrics like the World Bank’s Doing Business Reports, we applaud Wood & Zamfir for not naming names. Doing so is not necessary for their arguments, and we urge all blockchain governance theorists to adopt similar postures. Invoking particular governance tools from specific national traditions is helpful (e.g., Australian mandatory voting rules). Reifying particular national governance traditions as “good” opens up easy critique vectors and invites more regulatory scrutiny. Well-governed states are not well-governed because participatory rights are clearly and formally defined, and then mechanically enforced. The U.K. famously does without a formal constitution. The U.S. is amidst so many ongoing constitutional crises that it can fairly be characterized as a regime in perpetual constitutional gridlock (some argue, by design). In the long 20th century, Germans prototyped and deployed more constitutions than diesel engines. 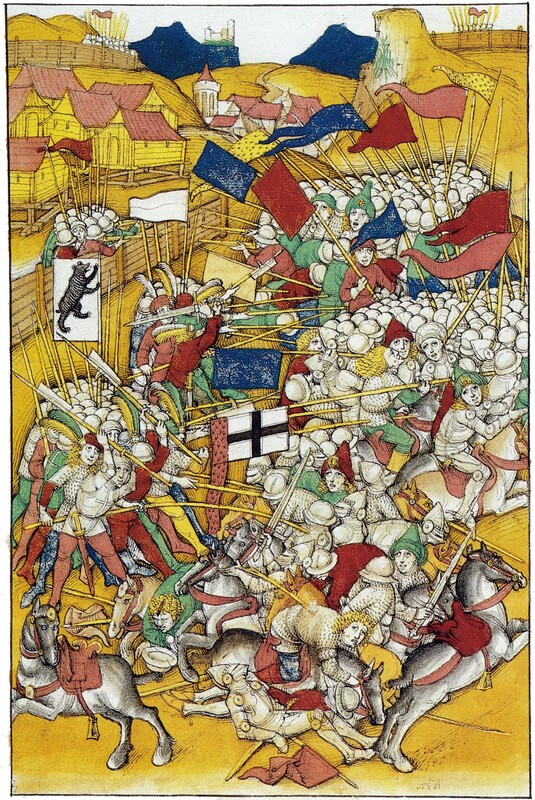 Battle of Vögelinsegg, one of the early battles in the Appenzell Wars, a centuries-long consensus-protocol-building process that produced what we now call the Swiss Confederation. Women in Switzerland gained the right to vote in federal elections only after a referendum in February 1971. It then took 20 more years for the last backwards canton — Appenzell Innerrhoden — to grant women the right to vote in local elections (and even then, only following an order of the Federal Supreme Court of Switzerland)! The key point here is that affirmative formal legal rights are just a part of a complex state-based governance story. Even in the best functioning and most expertly-governed states, formal legal regimes have inherent limitations. On the contrary, well-governed states endure if they are able to channel socio-economic contestation into relatively ordered socio-legal dispute resolution forums. Good governance seems less about minimizing disputes and more about maximizing the legitimacy of dispute resolution processes. a decision, decision-making process or coordination mechanism “has legitimacy” if there is common knowledge that participants in governance will implement the decision, or use the decision-making process or coordination mechanism. If a group of people have “common knowledge” of something then they act as if it’s a known fact (within the group), and they act like they know that it’s a known fact, and also act like they know that they know that it’s a known fact, and so on. I know that’s confusing, sorry. We acknowledge the apparent incompatibility of these positions. But we also see pronounced commonalities. Wood rejects Zamfir’s definition of legitimacy because it is too “nebulous,” meaning that it is presumably impossible to theorize in any rigorous way. Following Wood, because legitimacy cannot be quantified and objectively measured, it cannot be coded. Therefore, it is largely useless. Zamfir’s definitions of legitimacy and common knowledge are confusing. He says so himself. But legitimacy does not have to be confusing. It is not possible to talk about governance as “establishment, maintenance, revocation of legitimacy” without acknowledging Law as legitimacy, and vice versa. At that point of the debate, the most fascinating part is Wood’s silence. The silence speaks volumes because it was none other than Wood (in the Ethereum Yellowpaper) who invented the field of CryptoLaw and branded future crypto governance participants CryptoLawyers! By fiat and sheer strength of argument, Wood proved that being a formally-trained lawyer would not be a prerequisite for doing complex crypto legal analysis. When Wood invoked law in the Ethereum Yellowpaper, he might have meant it metaphorically, but it has proved prescient. Today, Law is even more central to the governance story. As CryptoLawyers (in the sense of the Ethereum Yellowpaper), Wood & Zamfir should see that blockchain governance is inextricable from CryptoLaw, and vice versa. CryptoLaw frameworks add many more layers to the governance toolkit. They allow governance theorists to tap into centuries of open-source code repositories (e.g., law) and leverage the resources of globally-dispersed CryptoLaw developer communities. More layers mean more complexity; but taller conceptual stacks also bring clarity to fluid concepts like legitimacy. There are many reasons why legality is a useful analogue for legitimacy. One of the most compelling is that legality already serves as a default proxy for legitimacy. The Web3 Summit offers several illustrations of this. 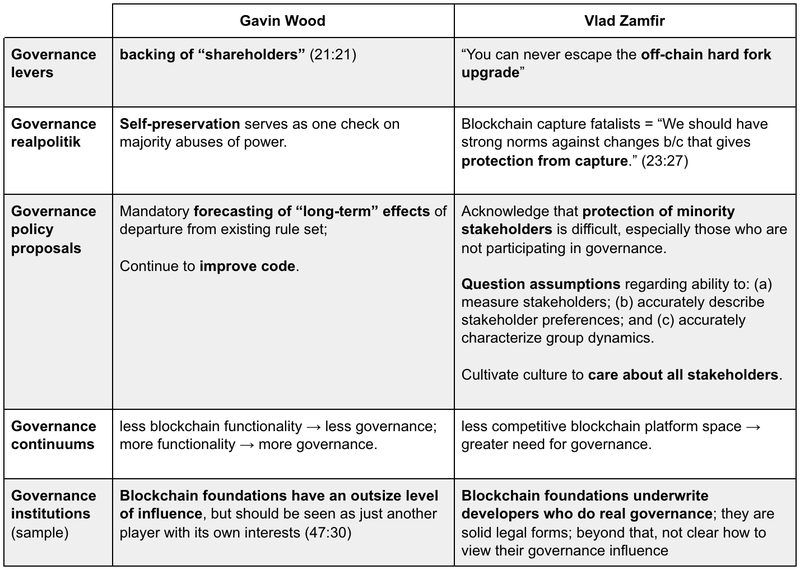 One of the most insightful exchanges in this debate were Zamfir & Wood’s responses to an excellent audience question regarding the role of foundations — like the Ethereum Foundation — in the shaping of blockchain governance. The exchange starts at 45:00. So foundations are really solid legal instruments relative to, say, corporations. Key interim points include: (1) certain legal forms might be useful for governance; (2) legal institutions follow specific rules by mandate; (3) different legal rules protect blockchain institutional assets; (4) certain rules in certain legal traditions are de facto immutable (which is both a bug and a feature). A follow-up question hits the nail squarely on the head: should foundations play a role in software updates? [Ethereum Foundation] funds a lot of development and supports a lot of the people who do make code — real governance decisions at the end of the day. But I don’t know whether you interpret that as the foundation [governing]. 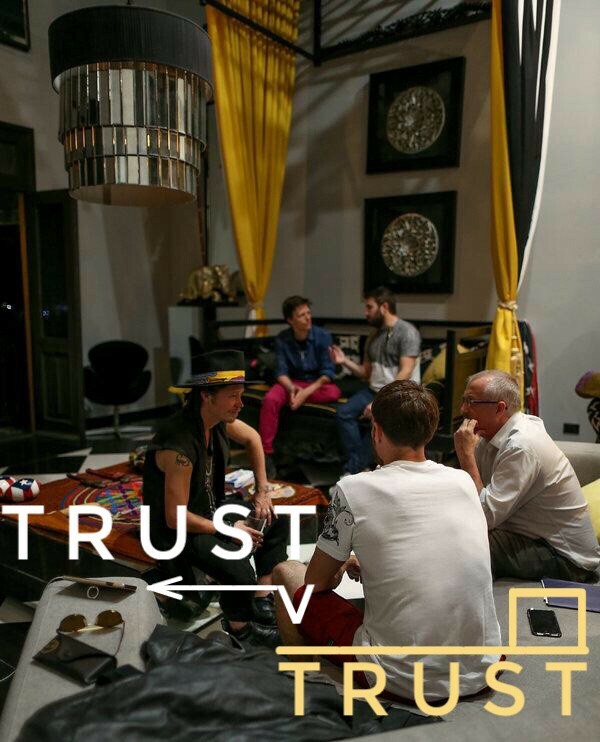 Back in 2014 at the Ethereum Foundation before it was even really formed we had a sort of semi-official pact that as soon as a theorem was in a state where we could code a DAO we would dismantle the Ethereum Foundation and put all its assets in a DAO and have the Ethereum community actually run it. And that never happened. Translation: (a) Law structures what the Ethereum Foundation can and cannot do; (b) Ethereum Foundation funds many core developers who work on the Ethereum consensus protocol (the site of real governance); (c) ergo, Law structures real blockchain governance. Two simple follow-ups come to mind: (1) why didn’t the Ethereum DAO governance plan happen; and, (2) why can’t it happen? These questions are the key to unlocking effective blockchain governance models because they serve as direct linkages between the real world and the world of “write your own CryptoLaw.” They are the nexus between legality and legitimacy in on-chain and off-chain settings. We promised an attempt to reconcile Wood & Zamfir on legitimacy. Here it is. Law is the closest body of knowledge that humans have to common knowledge — in Zamfir’s usage of that term. Law fits perfectly into Zamfir’s definition of common knowledge and legitimacy. Furthermore, law satisfies a clear conceptual and operational need area between purely experimental sandbox-governance deliberations and the day-to-day governance realities of large global knowledge production and socio-economic networks. Legitimacy is admittedly frustrating and confusing. But so is democracy. So is legality. So are concepts like finality, and immutability — and parity, and comity. The list goes on. But just because these are difficult concepts does not mean they are not useful. Nor does it mean they cannot be formalized. Here is an example of Gavin Wood introducing the Polkadot network, using none other than international law as a framing device to explain how this innovative multi-chain consensus mechanism would work. Of all the consensus-building, legal, and legitimacy frameworks out there, international law is arguably the most nebulous. International law is notoriously difficult to define and formalize, even for international lawyers! And yet Wood has no problem appealing to international legal forms and arguments to explain the unique value proposition of what appears to be a crypto proto-interoperability standard. Furthermore, there is nothing unique about international law that differentiates it from legitimacy as an especially crypto-friendly socio-legal framework. See Blockchain Governance 105: International Law. Wood can just as easily analogize to the process of, say, negotiated rulemaking in the field of administrative law, or federalism in the sphere of constitutional law. Similar analogies can be made to many other legal fields, forms, and processes. And that’s precisely the point of convergence between Wood and Zamfir. Concepts like legitimacy, legality, formality are still under-developed in blockchain governance. But even in their undefined forms, they already structure our political imaginaries and operational governance options far more than we consciously acknowledge. These concepts lie at the heart of countless efficient and well-functioning governance processes, refined over thousands of years. To make use of these code and knowledge repositories, governance theorists should simply channel their inner CryptoLawyer. Blockchain governance theorists don’t need to reinvent the wheel in order to recombine existing socio-legal clay blocks into efficient blockchain governance forms. But they should be more careful with the clay. Wood: My influence as a Facebook user over Facebook is the ability to not use Facebook. That’s all it comes down to. Zamfir: I don’t think people found that very satisfying. I don’t think that GDPR would really even exist if […] Facebook and all these different companies instead decided “look, our users get to govern how we use their data.” […] The fact that you can’t opt out was one of the main drivers behind this regulation. The insights above are self-explanatory. The only thing we can add is context. See Crypto for Regulators. At the end of the analysis, we should broaden our aperture to capture some big picture takeaways. The Zero Knowledge 52 podcast is a tasty intellectual dessert in this respect. The back-and-forth on coordination problems, management of “blockchain commons,” and rough v. unanimous consensus is all there in the podcast for governance wonks. But in this more intimate fireside chat between governance insiders, it becomes clear that often (not always, but often), these are just euphemisms for talking about who, if anyone, is responsible for fixing bugs in the protocol, and how to insulate the technicians from the moral, social, and legal burdens of making these extremely contentious changes. The blockchain governor’s dilemma is the desire to build a machine that allows participants to be CryptoPlaintiffs, CryptoDefendants, CryptoJudges, and CryptoBailiffs — while simultaneously avoiding the maximum number of obligations that accompany those complex social roles. As Zamfir explains in the podcast, one purpose of blockchain governance is to make tech updates, perform debugging, and fulfill occasional crisis response functions. These technical governance issues can be relatively uncontroversial. After a short technical turn to I/O processes and oracles, Wood signals potential convergence. 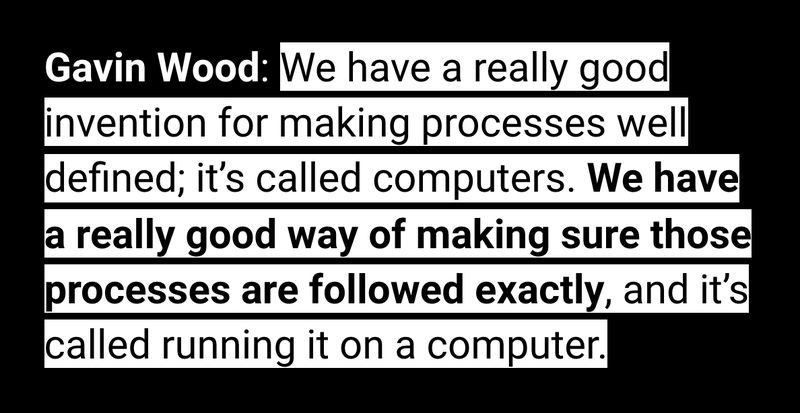 Wood suggests the main disagreements are on technical matters and things like user interface: basically, full on-chain governance is a question of when, not if. Throughout the debate, Zamfir’s answers to this question are a mix of pragmatism and caution: we should not rush to automate things just for the sake of automation because this can lead to unexpected bad outcomes. Further, we should be skeptical about any process that claims to fully model complex human governance pathways. 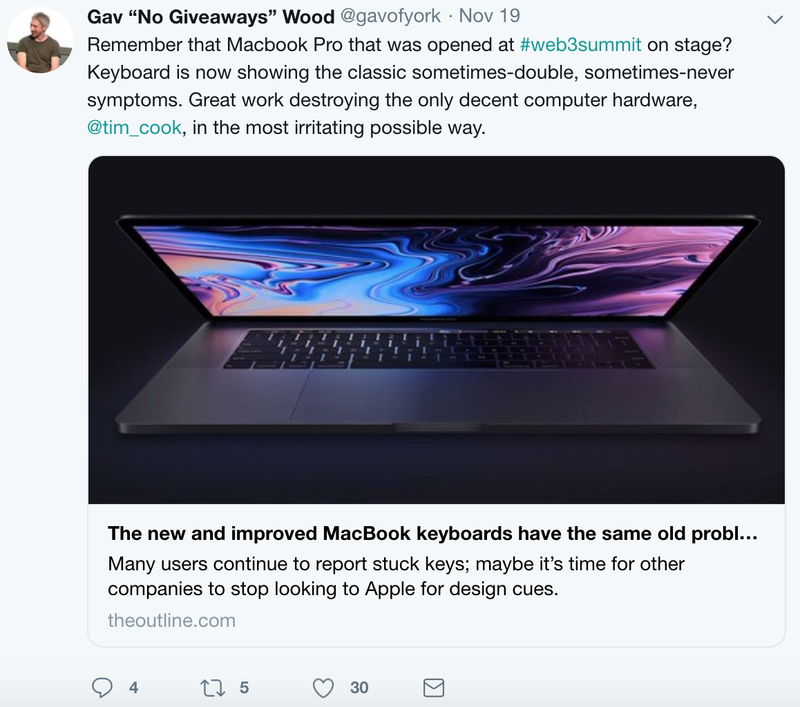 The point is not to compare Apple’s butterfly keyboard with the awesome potential of a hardware-agnostic globally-distributed networked computer. The point is to emphasize that our faith in computers is often … faith … in computers. Onchainization of governance is happening but it should happen as slowly and as incrementally as possible in order to permit careful debugging. For many spheres of governance, onchainization is inadvisable, if not altogether impossible. 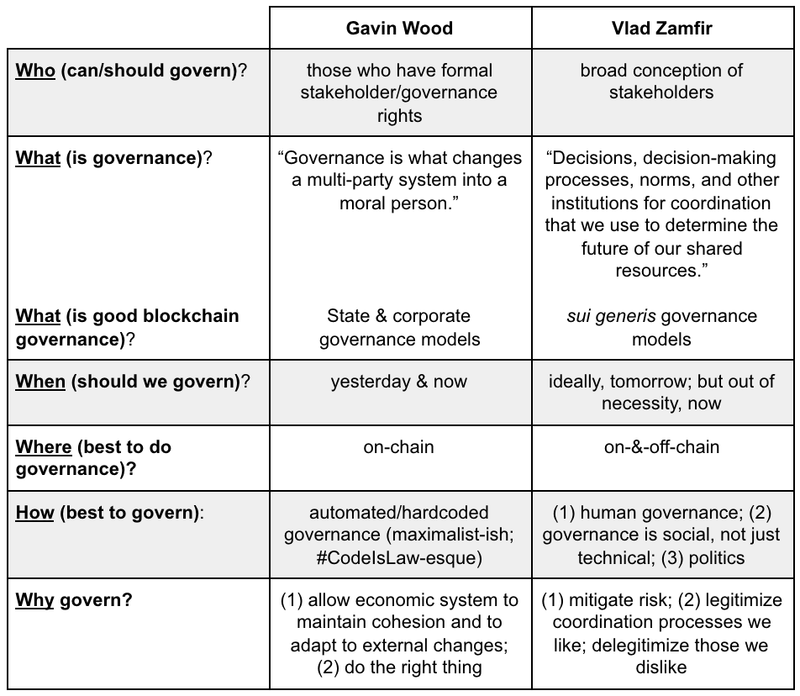 After carefully dissecting the Wood-Zamfir governance debates, we hope to have mined enough credibility to ask the following question without blowback: what’s really going on with blockchain governance? Is there a deeper source of contention beyond who governs whom? Turns out, yes! 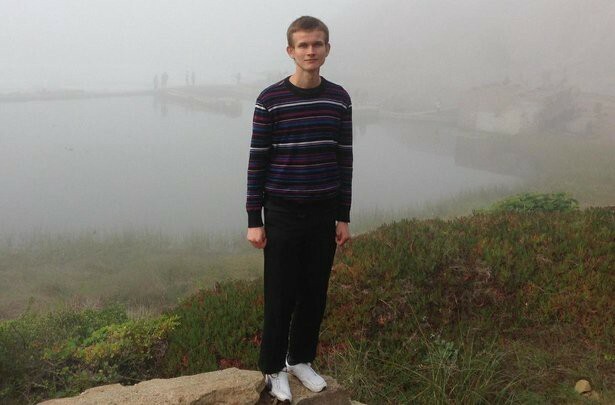 Everyone in crypto seems to be laboring under the anxiety of influence — the long shadow cast by the other founder of Ethereum, Vitalik Buterin. (1) A decision-making mechanism should lead to (2) binding enactment of the decisions that it makes. Ethereum has a functional connection between the two by virtue of it having a single leader [Vitalik Buterin] that most participants in the ecosystem can rally around. The embedded critique is that Ethereum governance is a monarchy that works because most of the royal subjects recognize Buterin’s royal prerogative. [It is] massively unfortunate that governance at this point seems to boil down to one or two key people in the [Ethereum?] ecosystem not wanting to feel unpopular on social media. Social media [and social media gaming] have way too much of a throat grip on the ability, or lack thereof, to make decisions. One of the effects of Wood’s governance idea is that we can use code to usurp a power-hungry crypto monarch. Who needs lambos when you’re a CryptoRoyal? 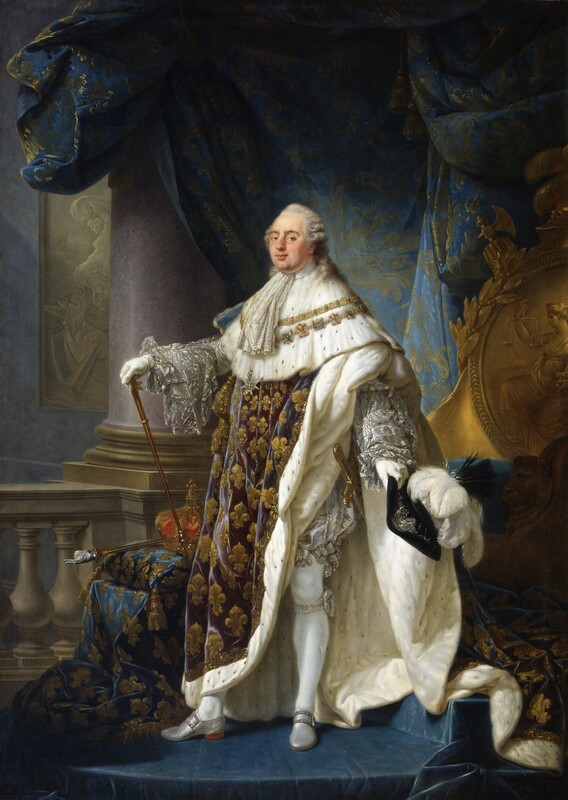 Louis XVI, before the hard-fork known as the guillotine. Portrait by Antoine-François Callet. In an ideal case, of course, usurpation is not necessary. The monarch abdicates, and all power presumably goes to the Crypto Soviets. In this case, the monarch not only willingly relinquishes power, but perhaps even endorses governance code that effectively ends the royal line of succession. Returning to Wood’s proposal, this would mean code that tries to anticipate and block the emergence of a single leader. If such rules can be coded, they could easily be adapted to block coalitions, castes, oligarchies, and cartels. Yet again, we see pronounced commonalities between Wood’s anti-CryptoRoyalty objectives and Zamfir’s anti-cartel proof-of-stake proposals. In principle, Wood’s proposal is sound. There is a reason why democratic governance is an emerging norm under customary international law, and why theorists like Zamfir are agitating for inclusionary blockchain politics. The greater the number of participants in governance, the more we can diffuse risk and lower the overall systemic chance of failure. The key question is not whether usurpation/constitutionalization by code is desirable: the key question is whether it is feasible. 15. God Save the Chain! Wood & Zamfir explore the feasibility of on-chain governance from nuanced technical, game-theoretical, and socio-economic perspectives. We propose two additional perspectives: historical and legal. To do this, let us return to the United Kingdom — the place where “almost a third of Brits (32%) would welcome a robot CEO” — and, perhaps, on-chain governance. Since the Battle of Hastings in 1066, the “well-governed” shores of Albion have seen waves of hard- and soft-norm formation that have variously expanded and restricted royal power. The result is a contemporary governance regime where “the governed” (which, in 2018 still includes a sprawling global Commonwealth) must pay and do pay obeisance to a Queen! — whose formal and informal duties include, inter alia, appointing the Prime Minister, serving as Supreme Governor of the Church of England, and serving as commander-in-chief of the British Armed Forces. 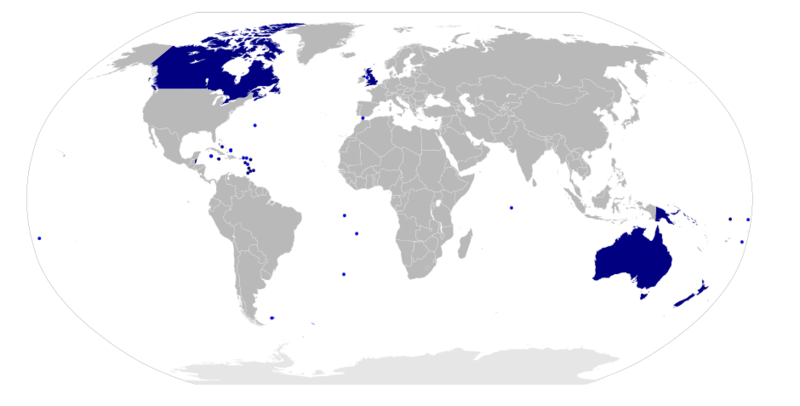 The Commonwealth realms, governed by the Queen Elizabeth II and lots of fuzzy customs, conventions, precedents, norms, and laws. Though the ultimate formal executive authority over the government of the United Kingdom is still by and through the monarch’s royal prerogative, these powers may only be used according to laws enacted in Parliament and, in practice, within the constraints of convention and precedent. The “constraints of convention,” precedent, and Law cut both ways. They restrict certain actors’ freedom of action; but they also reify and affirm those same actors’ freedom of action, just in different ways— which resets the process of contestation and new norm-formation. The broader point is that no matter how much form and process we throw at the governance problem, in the end, it is not just formal process that defines the exercise and limits of power. Governance is not chess because humans are not pawns. Because blockchain governance debates are getting more nuanced, technical, and fragmented each month, we hope everyone takes time to get familiar with the broad contours of existing governance discussions. We hope you get engaged. Your input today is necessary to protect your interests tomorrow. Social Governance: there are many nuanced group governance dynamics in the middle space between (a) individual stakeholder rights and (b) global public blockchain commons — how should we think about groups and group rights in blockchain governance? Legal Governance: since inception, blockchain governance has been deeply legalistic — what’s the role of CryptoLaw in blockchain governance? Technical Governance: what are the best ways to incentivize and code governance transparency, secure feedback loops, and other technical governance needs? If you still crave more blockchain governance, please click here. If you think other questions are more urgent, please let us know below. ¹ Wood’s relationship with the state is complex. Although he frequently draws governance parallels to the state, he has also expressly distanced himself from this analogy in the debate (Zero Knowledge 52, at 44:40)— opting instead for analogies to corporate governance forms.